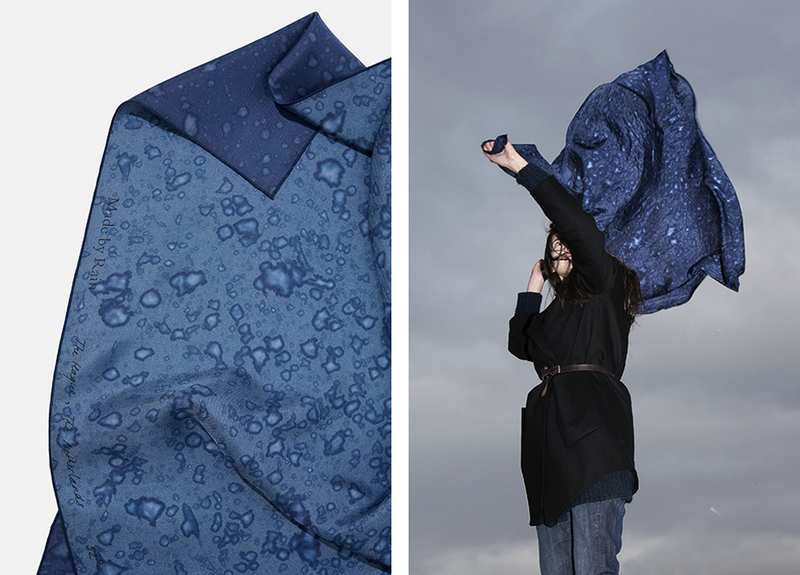 Made by Rain is an elemental concept in which rainfall is recorded on textile. 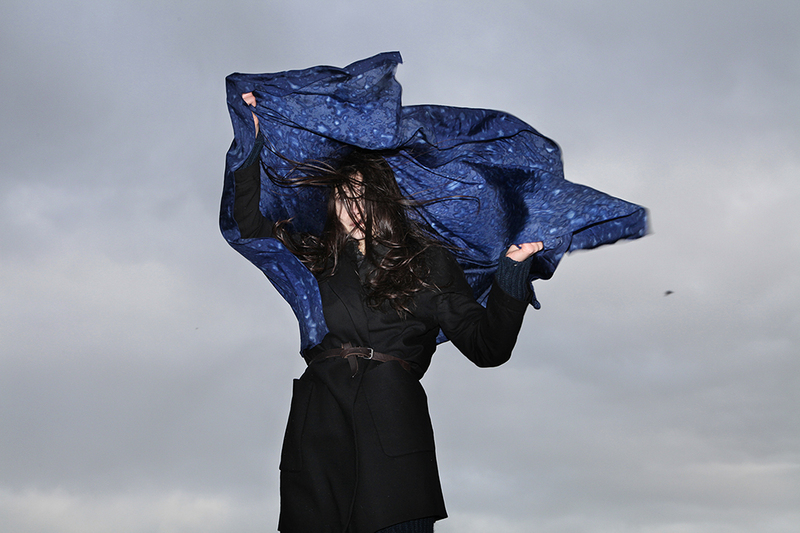 Is it possible to wear the weather? 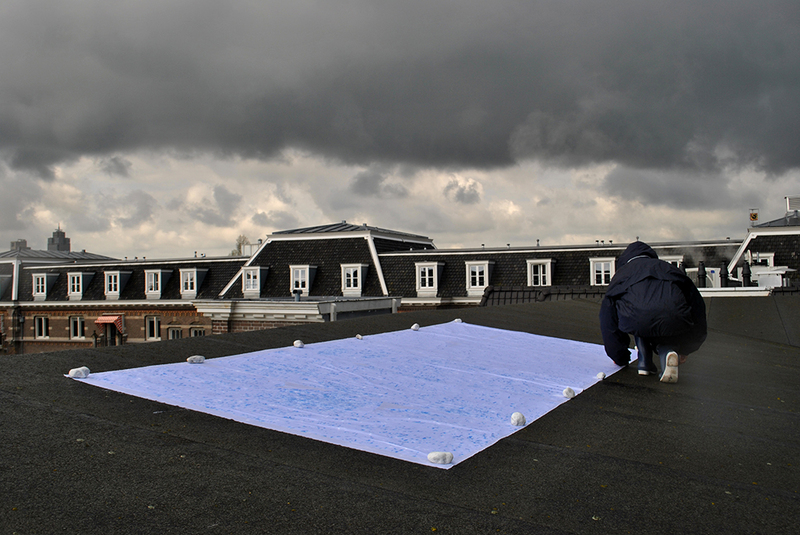 Dutch artist Aliki van der Kruijs asked herself how to capture the experience of rain. 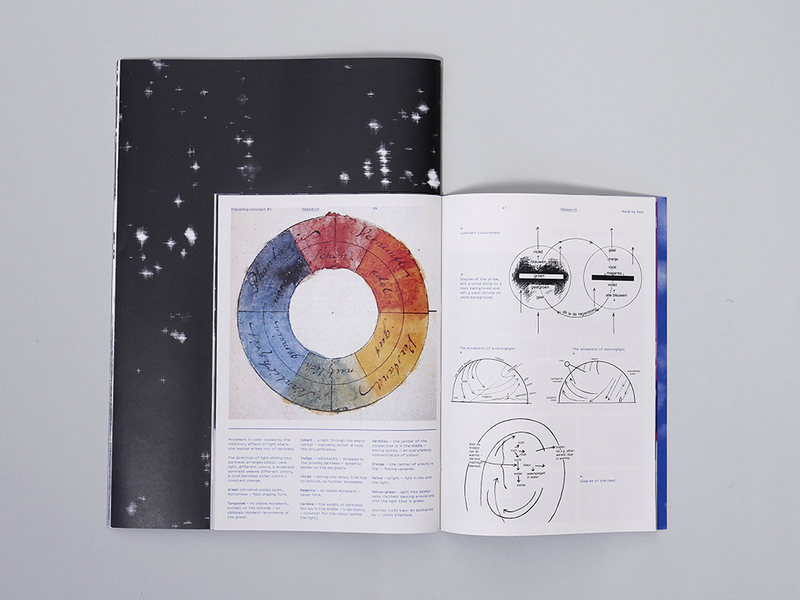 For this she developed her own technique, called ‘pluviagraphy’. 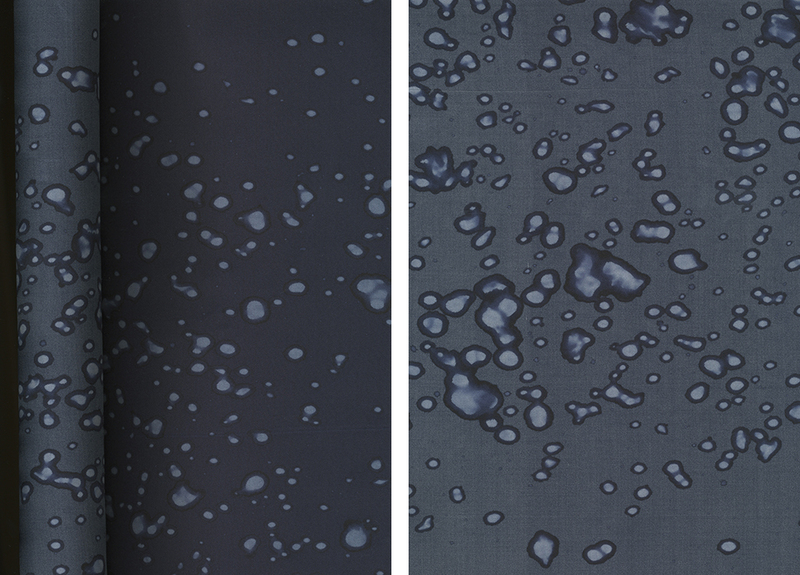 Using a film coating that is sensitive to water, it becomes possible to create a visual recording of rainfall on a filmed piece of textile. 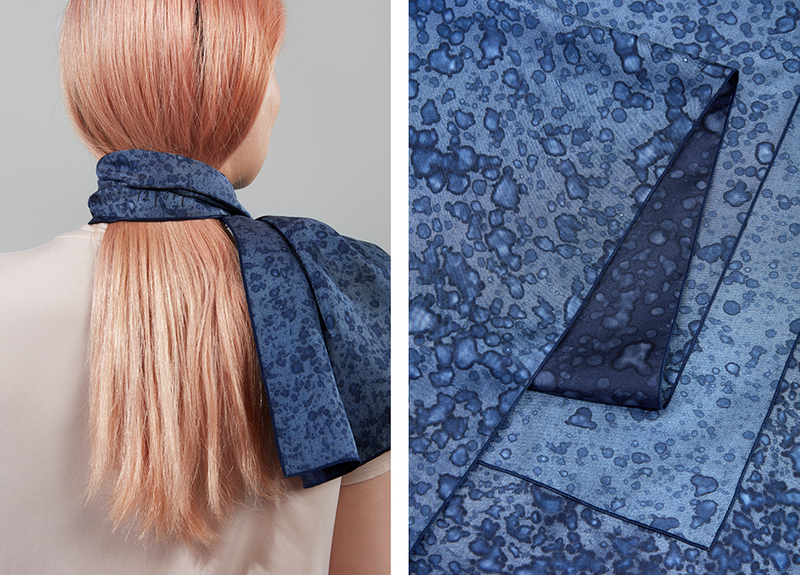 Whether it’s a soft drizzle or a tropical downpour, each type of rain creates a unique print. 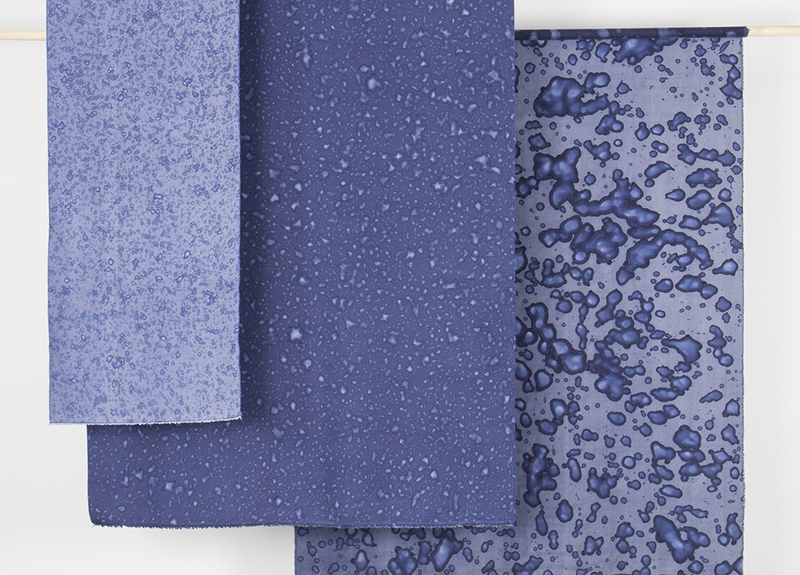 Every Made by Rain textile comes with a handmade notation of the location, date, time interval, millimetres of rain, and weather circumstances under which the pluviagraphy was done. 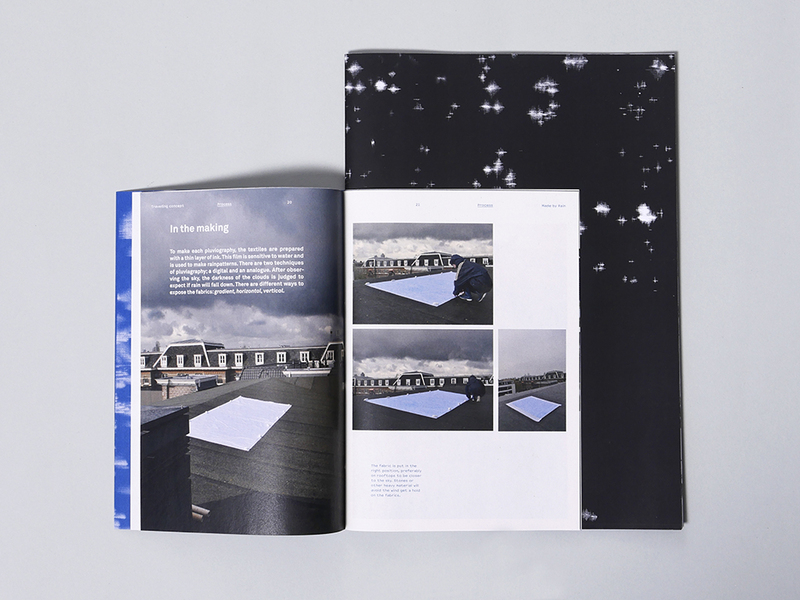 This way, the textiles form a collection of weather data: visual recordings of a specific day in history. 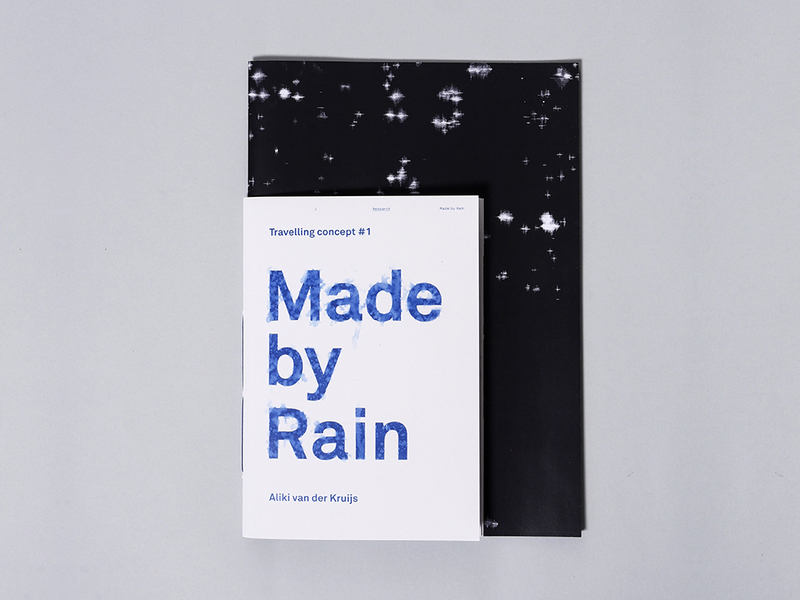 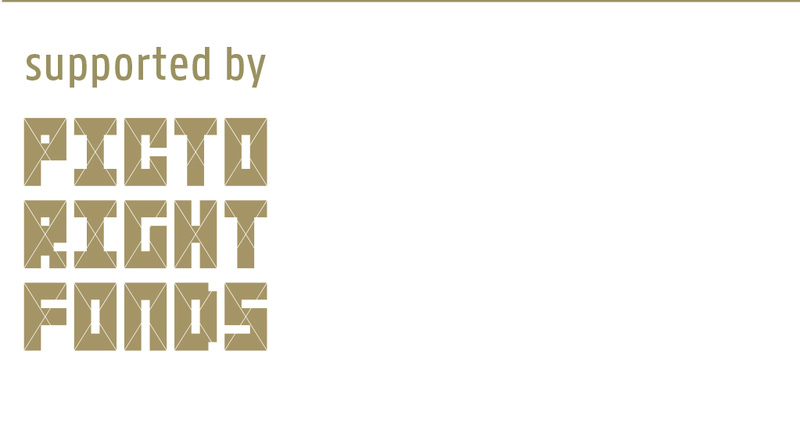 The entire project and process were captured in the publication Travelling Concept #1 – Made by Rain. 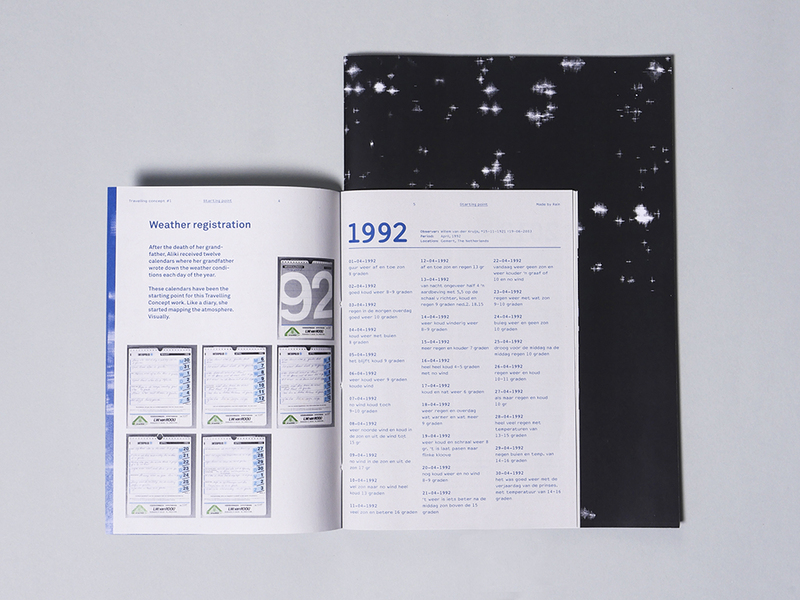 This publication was made in collabration with graphic designer Lena Steinborn. 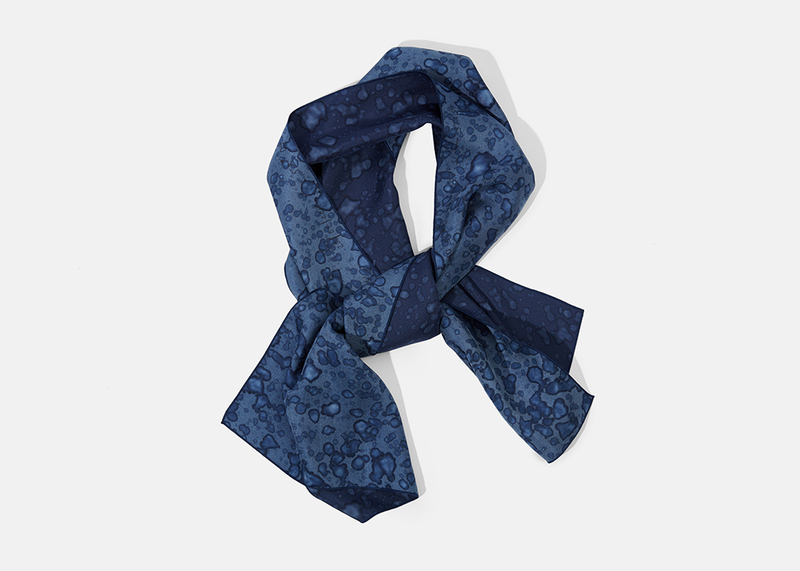 The Made by Rain scarfs are for sale at the webshop www.madebyrain.com and in the Cooper Hewitt Design Museum Shop in New York (US). 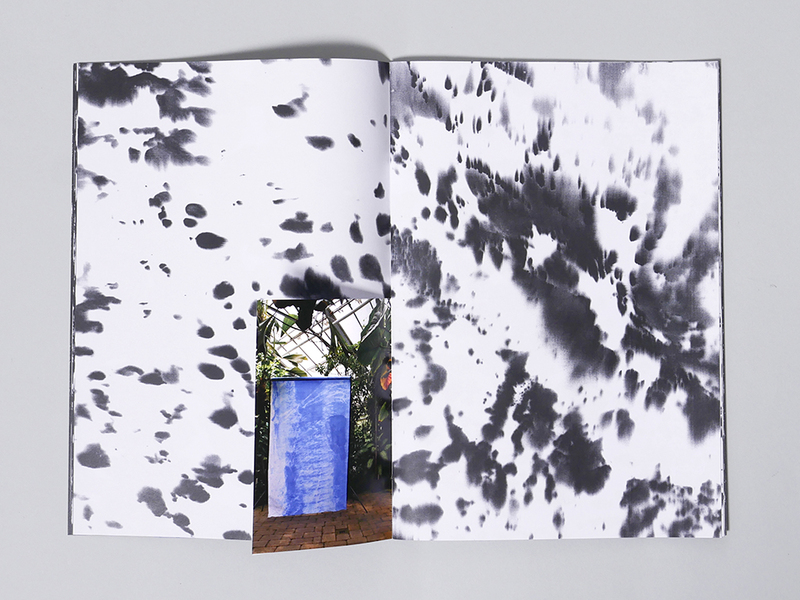 Recently Thomas Eyck’s label t.e (NL) included Made by Rain in his collection.